1707 Cape Coral Pkwy. E.
Did you know that if you wash your car at home, you are using more water and rinsing chemicals directly into rivers, lakes and streams in your neighborhood? 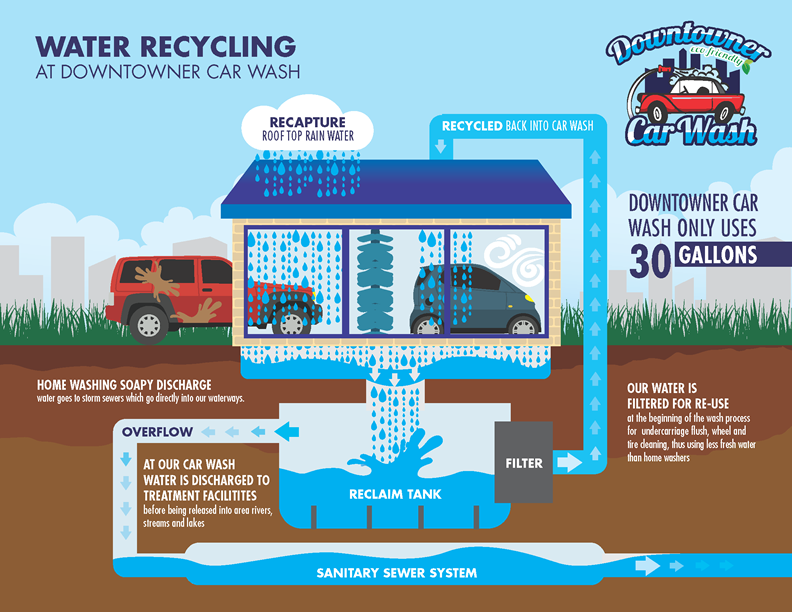 At Downtowner Car Wash we recycle fresh water and dispose of waste in an environmentally responsible manner. We also capture our rooftop rain water and blend its use into our wash process! We are proud to say that the downtowner Car Wash is part of the International Car Wash Association’s WaterSavers program. The WaterSavers program requires that car washes reduce the use of fresh water by recycling and cleaning treated water, and by releasing clean water back into the environment. Thank you for choosing Downtowner Car Wash to wash your prized valued asset. You are making a difference in our efforts to save water and protect our river, lakes, streams, and oceans.